Theodore Roosevelt was an avowed Mahanian. He was also a closet Maoist! Or at least, his convictions about strategies for lesser competitors ran parallel to those made popular by Mao Zedong during the Chinese Civil War and Second Sino-Japanese War, as transposed to marine warfare by the Great Helmsman’s saltwater-minded successors. Nor, as it turns out, should this synchronicity come as any surprise. Both Roosevelt and Mao coveted conventional triumphs on oceanic battlegrounds. The chief difference? Spared decades of internal strife and foreign invasion, Roosevelt’s America had trodden farther along its pathway to industrial and military might than had Mao’s war-ravaged China. The United States could afford to mount a challenge for mastery of American seaways. China enjoyed no such luxury in its nautical environs. It had ground to make up before it could take to the sea in force. Disparate national circumstances demand disparate approaches to designing, building and deploying fleets. You go to war with the navy you can afford. Beyond the material dimension, the two strategists’ ideas about maritime combat were much the same. Once China made itself wealthy, it could bankroll a more forceful approach to naval development — an approach strikingly similar to fin de siècle America’s. Make no mistake: Roosevelt would have no truck with Mao’s murderously utopian purposes. But he would instantly recognize Mao’s operational and strategic methods — and might well endorse if not applaud them. As well he should, since these are methods that have borne the test of time. Roosevelt entertained an offensive vision of American sea power, and thus regarded coastal defense as a fallacy of the first order. He framed his opinions about sea strategy and combat most succinctly in 1908 while chairing the once-celebrated, now mostly forgotten “Battleship Conference” at the Naval War College. Students and faculty convened in Newport that summer to evaluate technical feedback coming in from the U.S. Navy’s “Great White Fleet” during its world voyage. While battleship design constituted the focal point for deliberations, President Roosevelt ascended his bully pulpit to hold forth about larger strategic matters. Matters such as this: a common question before would-be seafaring societies is whether they should content themselves with coastal defense, striving to shoo away threats from waters immediately offshore, or bid for something more ambitious. Roosevelt’s answer: embrace as forceful a strategy as your means permit. And America’s economic and industrial means not just permitted but encouraged vigor and audacity. The United States at the dawn of the 20th century commanded a far more fortunate strategic position than China’s at mid-century. It was an industrial society on the make. It stood at the verge of overtaking European great powers by such measures as steel production, a crucial index of warmaking capacity. It had commenced constructing an armored, steam-propelled, big-gun navy in 1883, and vanquished a European empire, Spain, in 1898. It could contemplate making itself supreme in American waterways while governing a modest Pacific colonial empire. 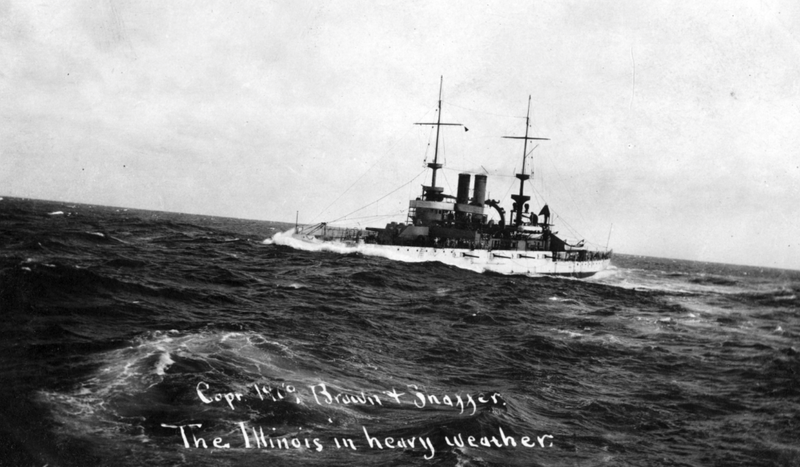 Even an outmatched navy, explained Roosevelt, must strike offensive blows if it aspires to victory. It has to hit — even if just to jab. Roosevelt lionized John Paul Jones, who jabbed the British Isles repeatedly during the War of American Independence, courtesy of the Continental Navy. Such insights gladden Maoist hearts a century hence. Roosevelt, moreover, discerned a symbiosis between land and sea power. These constituted mutually reinforcing arms of military might. Coastal gunnery, he maintained, should shoulder the task of safeguarding seaports against seaborne assault while the navy carried the fight to foes cruising the high seas. If effective, shore gunners would release the navy from the toil of defending homeland coasts. This joint division of labor would render the battle fleet “foot-loose,” liberating it to “search out and destroy the enemy’s fleet.” That errand of destruction, vouchsafed Pres. Roosevelt, represents “the only function that can justify the fleet’s existence.” And it’s a function no “ridiculous” coastal-defense navy can discharge. Offense thus represents the watchword even for defensive strategy. Mao is smiling in whatever hot place he now inhabits. The state of military technology enables shore fortifications to pummel hostile shipping lurking nearby — in other words, ground commanders should avail themselves of the option — emplacing defenses at strategically chosen sites along the coastline. The longer the reach, precision and volume of fire boasted by terrestrial weaponry, the safer the homeland from seaborne attack. The safer the homeland, the more generous naval commanders’ freedom to chase hostile armadas far offshore. Seafarers can be footloose, and enterprising. Allocating duties thus makes sense for a rising power blessed with the wherewithal to construct a battle fleet — a power able to vie for command of nearby expanses. But what if national means rule out a pricey fleet? Must coastal states submit meekly to the whims of the powerful? No. Both Roosevelt and Alfred Thayer Mahan composed histories of the War of 1812 maintaining that the early republic could have waged war more effectively — or averted it altogether — had presidents and Congress invested in a modest contingent of 74-gun ships of the line before tangling with Great Britain. The U.S. Navy, that is, need not match up with Britain’s Royal Navy or any other imperial foe on a ship-for-ship basis. After all, far more than 74 cannons festooned first-rate Royal Navy men-of-war — think Lord Horatio Nelson’s HMS Victory, with its thickets of cannon. Nor must the U.S. Navy outweigh foes in aggregate numbers of ships. It merely needed enough vessels to match the largest detachment an antagonist was likely to dispatch to local waters, factoring in that antagonist’s competing imperative to scatter ships across the globe to uphold commitments elsewhere. If America sported a big enough, capable enough naval inventory — and if the British leadership knew it — then the U.S. leadership stood an odds-on chance of deterring actions it wished to proscribe, or of giving a foe a very bad day should a fight ensue. 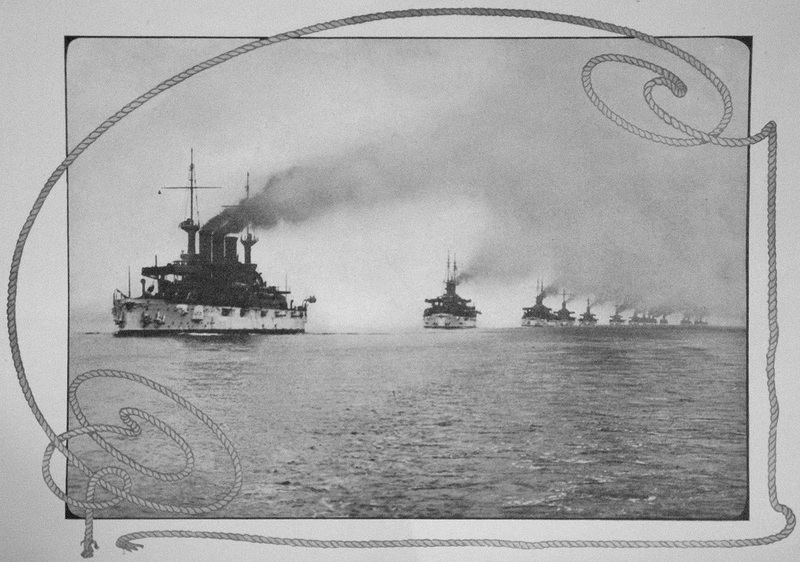 The Royal Navy, in other words, was dispersed while the U.S. Navy could remain concentrated. That London would deploy the entire Royal Navy to the Americas seemed doubtful in the extreme. Britain’s navy had a global empire to police and could concentrate overwhelming power in a single theater only at the risk of uncovering — and forfeiting — its hold on the sea lanes, as well as on such territories as India, the jewel in its crown of empire. The opportunity costs of overpowering the U.S. Navy in its home waters were heavy. Whatever fraction of the Royal Navy London could spare for American contingencies — not the Royal Navy as a whole — thus comprised the benchmark toward which Washington needed to build. It represented the measure of high-seas adequacy. Meeting that standard represented a manageable task even for an America just embarking on its pathway to economic development, and ultimately to regional and world power. Far from ridiculous, a strategy of expanded coastal defense would have accomplished U.S. aims while keeping naval expenditures in check. According to the classics of naval literature, in short, the weak can accomplish their goals short of outbuilding the strong in a symmetric arms race. Mao Zedong would find this outlook agreeable. Mao prescribed a coastal-defense navy, but for him this was a matter of expediency rather than preference. China had to make do with the force it could afford at a time of extreme economic hardship. It had been wracked by four decades of revolutionary, civil and foreign wars. A battle fleet remained beyond its means at the founding of the People’s Republic in 1949. The nation’s dearth of economic and warmaking capacity forced China’s communist leadership into a humbler strategy — a strategy of coastal defense. It lacked the options Roosevelt’s surging America had enjoyed. Mao, accordingly, instructed the newly-founded People’s Liberation Army Navy to devise forces and doctrine premised on fast surface patrol craft roaming the brown water just offshore, tactical aviation flying from airfields on the mainland and diesel submarines prowling the depths. Such a force could accomplish little beyond a couple of hundred miles offshore. 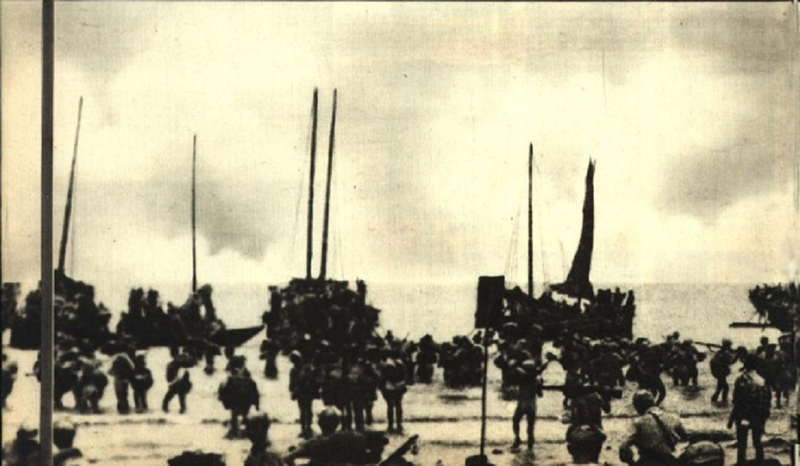 The early PLA Navy stood no chance of winning mastery of the blue water. What a makeshift force could do was buffer mainland coasts against amphibious invasion — and it would do so by meting out offensive tactical blows under Mao’s doctrine of “active defense,” then as now the keystone of Chinese communist military thought. A lesser force would have to suffice for the time being. Mao, then, felt compelled to postpone China’s high-seas destiny pending more auspicious times. Yet he foresaw, if not longed, for the age of an oceangoing PLA Navy — an age such as now. After decades of reform and opening to the globalized world, China has attained an economic and military standing comparable to Roosevelt’s America, whose navy remained outnumbered but could afford a battle fleet able to contend for local superiority or even supremacy. China’s leadership, accordingly, can now embrace sea-power logic reminiscent of Roosevelt’s. Destinies converge. China has come a long way since 1949. Roosevelt’s America was a power on the rise, vying with stronger empires bestriding its neighborhood. China is now a power on the make, contending with a stronger empire — the informal empire administered from Washington — that dominates its neighborhood. Small wonder patriotic statesmen on each shore of the Pacific Ocean alighted on similar strategies for managing their saltwater environs. There are only so many ways for the weak to overcome the strong. Make yourself strong and your antagonists weak, and you may go far. And to be sure, under Mao’s successors China’s Maoist strategic thought has started merging with the Mahanian vision Roosevelt prescribed. But China can do Roosevelt, Mahan, and other oldtimers one better. The state of military technology has vaulted ahead over the past century. The PLA can employ land-based armaments not only to defend seaports, but also to hoist a protective aegis over the PLA Navy battle fleet while it cruises the briny main far from port. Tactical aircraft and shore missile emplacements can rain supporting fire on hostile fleets scores if not hundreds of miles offshore — supplementing PLA Navy firepower with that furnished by the PLA Air Force and Strategic Rocket Force, alongside super-empowered coastal-defense craft that would be instantly recognizable to Mao. Latter-day coastal artillery constitutes a difference-maker for an outgunned Chinese fleet — an option not open to Roosevelt’s navy, fettered as it was by rudimentary weapons and fire-control technology. What Mahan once branded a “radically erroneous” mode of sea combat — keeping a battle fleet under protective shelter from shore fire support — is swiftly coming of age. 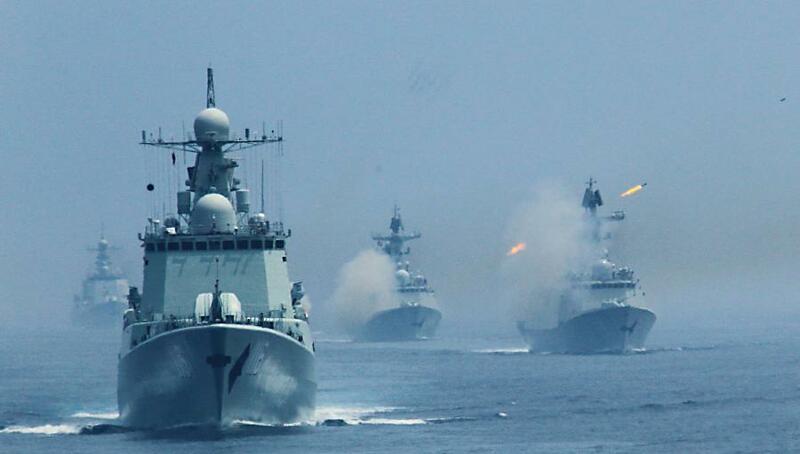 If Fortress China’s coastal-defense-on-steroids pans out, it can accomplish the goal Roosevelt envisioned for shore gunnery — shielding China’s coastlines on a grand scale while freeing the fleet for expeditionary endeavors in remote seas. China will have deployed a genuinely free-range fleet without placing homeland security in jeopardy. So we can generalize from comparing two unlike but like-minded strategists hailing from different times, civilizations and political philosophies. A competitor poised for greatness can countenance offensive-minded “Mahanian” strategies predicated on seeking out an enemy main force for battle. The margin separating it from stronger rivals is narrower. Bridging it is thinkable. The feebler a contender relative to powerful antagonists, however, the more “Maoist” its methods appear. Unable to fight on equal terms, a drastically outmatched contender has little recourse except to harass or jab at the foe while it taps manpower and material resources. With sufficient patience, administrative skill and tactical moxie, however, the lesser pugilist stands a chance of wearing down the stronger over time — reversing the military balance while positioning itself to seize the counteroffensive. Roosevelt and Mao, then, aren’t as odd a couple as you might think. Human minds run in grooves toward similar destinations. That’s why, according to the late, great Naval War College professor Michael Handel, it’s possible to form Clausewitzian habits of mind without ever reading Carl von Clausewitz’s monumental treatise On War. Heck, some strategists were Clausewitzian before the Prussian scribe lived. George Washington and his right-hand man, Gen. Nathanael Greene of Rhode Island, lusted for decisive Clausewitzian victories until battlefield reverses forced them into a Maoist strategy of the weak. History abounds with such parallelism. Necessity makes strange bedfellows — bedfellows like a Bull Moose and a Great Helmsman.